In the past the disciplines that comprise the pharmacy course have traditionally been taught separately with little integration between them. This situation is no longer tenable following the publication of the standards by the General Pharmaceutical Council, which require schools of pharmacy to demonstrate the integration of science and practice in the MPharm curriculum. The Manchester Pharmacy School introduced a new MPharm programme in 2011 which is composed of five strands. Three of the strands run throughout the programme, whereas “The public” and “Research” each run for two years. We replaced many small (10 credit) units with fewer large (30 credit) units and this has improved communication between units promoting horizontal integration (integration between units within a year). As a result, there have been some excellent examples of team teaching where science and practice staff have jointly delivered teaching sessions showing how science informs clinical decision-making. However, students continued to view the different units as discrete parts of the programme rather than as an integrated whole. Thus in a first attempt to achieve greater integration of science and practice we have replaced individual unit examinations in the first year of the MPharm with a single end of semester integrated examination. This has encouraged staff teaching on different units to collaborate in the planning and writing of examinations, which has led to closer working and greater awareness among staff of the content of all units. Unit-specific material may still be assessed during the semester within a unit. Examples of such assessments include the assessment of practical skills in “the medicine” and “the patient” units, communication skills in objective structured clinical examinations in “the pharmacist” unit, and the production of a health promotion video in “the public” unit. TBL involves students learning together in small groups. Students are assigned reading before the session and are expected to complete this before they arrive at the class because the sessions start with an individual test (individual readiness assessment test; iRAT) followed by a group test (team readiness assessment test; tRAT) on the reading. Students receive instant feedback on their assessment and on the application exercises which help to support their learning. The learning activity focuses on the application of knowledge rather than memorising facts.6 TBL is also suitable for relatively large cohorts but, unlike enquiry-based learning or problem-based learning, it does not require large numbers of staff to implement it, making it particularly suitable for pharmacy.4 For details about the essential elements of TBL, see PJ 2013;291:645. Three weeks of the traditional teaching in the first year have been replaced with three weeks of TBL in the current academic year (2013–14). The three TBL weeks are the first and last week of formal teaching in semester 1 and the last week of formal teaching in semester 2. There will be 10 TBL sessions during the three weeks of TBL. The first TBL week, which traditionally was an induction week, has four individual TBL sessions. The aims of these sessions is to provide an introduction to TBL, to highlight the importance of integrating science and practice, to raise awareness of the code of conduct for pharmacy students, and to develop study skills and use of the British National Formulary (see Panel). Below are the four topics covered during induction week through team-based learning sessions. - For the prereading, students were directed to two sources: the online factsheet on the BNF published by the Pharmaceutical Press and the online version of the BNF. These resources were chosen to provide students with a basic introduction to the BNF, a key resource to their career as a pharmacist. - The individual readiness assurance test (iRAT) and team readiness assurance test (tRAT) included multiple-choice questions on the purpose and use of the BNF and the target audience of the BNF. 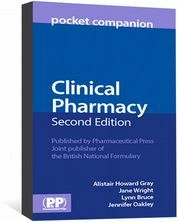 - The application exercise involved an evolving case study of a patient, beginning with using the BNF to identify the indication of a drug, then using the BNF to decide on the suitability of the drug with an existing condition and, finally, discussing the role of the pharmacist in relation to recommending alternative treatments. An evolving case study approach was chosen because it uses an active learning approach from a student perspective to reflect on a problem, thus highlighting the key skills of problem-solving and reflection as fundamental study skills that an MPharm student should possess. - For the prereading, the students were directed to sections of the Asthma UK website to reflect on the condition from a patient’s perspective. - The iRAT and tRAT included MCQs on prevalence, asthma triggers, symptoms and treatment. - The application exercise involved a case study of a patient admitted to hospital with an asthma attack. Product information leaflets were supplied, together with links to the summaries of product characteristics for the reliever and preventer medicines, and questions were asked on the chemistry and formulation. - The prereading was an article on the chemical basis of drug stability and degradation.7 This article was chosen to introduce students to The Salvadore and also it allowed the students to apply their “A”-level chemistry knowledge to drugs. - The iRAT and tRAT included MCQs on the types of functional groups in drugs that are susceptible to hydrolysis and how this can be minimised. - The application exercise included a case study on treating a child with impetigo. Drug stability and allergy issues regarding the dispensing of flucoxacillin were discussed. 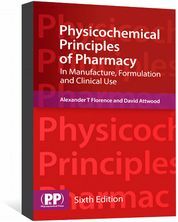 - Students were assigned the code of conduct for pharmacy students8 and an article on fitness to practise9 as prereading. - The iRAT and tRAT were composed of questions based on the code. - The application exercises involved students acting as fitness-to-practise panel members reviewing anonymised cases where fitness to practise was a concern either through conduct or health.10 The student teams had to prioritise the issues for the panel and ultimately make a decision on the future of the student in the case study. Students complete the iRAT on a pro forma, which is submitted for marking by staff. The tRAT is completed on a scratch card where two marks are awarded for the correct answer at the first attempt, one mark at the second attempt and half a mark at the third attempt. The school purchased scratch cards that come in batches, each with a different set of answers, from Immediate Feedback Assessment Technique in the US. The marks the students achieve in three out of four of the TBL assessments (iRAT and tRAT) will count toward the overall mark for the year. The iRAT contributes 70 per cent and the tRAT 30 per cent of the TBL mark. The last week of semester 1 (week 12) has three TBL sessions and there are a further three TBL sessions in the last week of semester 2. The emphasis of these sessions is on integrating science and practice, and preparing the students for the integrated examination. The multiple-choice questions in the iRAT and tRAT will be in a similar format to the questions in the end-of-semester examination, which also mirror the format of the questions in the GPhC registration assessment. Students will have the opportunity to discuss the responses to the questions during the session and they will receive instant feedback on the answers that they have selected. The application exercises in these TBL sessions will integrate material from the four units with a particular focus on applying the science to pharmacy practice problems and patient care. Early indications suggest the students found the TBL sessions helpful. The students were asked to rate the TBL sessions using TurningPoint response devices during a lecture. Just over half of the students (n=84, 54 per cent) responded to the interactive questions during the lecture and most of those who responded (77 per cent) thought that the TBL session was a more effective way of learning about the code of conduct than a lecture. Additionally, 80 per cent of the students who responded agreed that it was useful to hear others’ opinions during the TBL discussions and 79 per cent agreed that the application exercises were relevant to real life. We will be following this up with a formal evaluation of the integrated examination and TBL sessions. The integrated examination and TBL sessions will be evaluated during the year by reviewing student performance in the end-of-semester integrated examinations and student progression, and by exploring in student focus groups how TBL has supported their preparation for the integrated examination. If the formal evaluation of the initiative is positive then we will seek to roll out TBL and integrated examinations in all years of the MPharm at Manchester. Jason Hall is reader and director of undergraduate studies, Sally Freeman is reader in medicinal chemistry, and Harsha Parmar and Alain Pluen are lecturers, all at the University of Manchester. Hrynchak P, Batty H. The educational theory basis of team-based Learning. Medical Teacher 2012;34:796–801. Middleton-Green L, Ashelford S. Using team-based learning in teaching undergraduate pathophysiology for nurses. 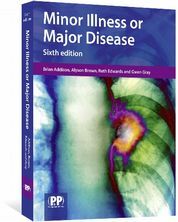 Health and Social Care Education 2013;2:53–8. Haidet P, Fecile ML. Team-based learning: a promising strategy to foster active learning in cancer education. Journal of Cancer Education 2006;21:125–8. Ofstad W, Brunner LJ.Team-based learning in pharmacy education. The American Journal of Pharmaceutical Education 2013;77:70. Tan NCK, Kandiah N, Chan YK et al. A controlled study of team-based learning for undergraduate clinical neurology education BMC Medical Education 2011;11:91. Michaelsen LK. Getting started with team learning. In: Michaelsen LK, Knight AB, Fink LD (eds). Team-based learning: a transformative use of small groups. Westport, Connecticut: Greenwood Publishing Group; 2002. Snape TJ, Astles AM, Davies J. Understanding the chemical basis of drug stability and degradation. The Salvadore 2010;285:416–7. Hall J, David T, Tully M. Ethical dilemmas and fitness to practise encountered by pharmacy students and pre-registration trainees. 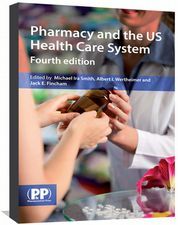 Available at: www.pharmacyregulation.org (accessed 3 January 2014). General Pharmaceutical Council. Code of Conduct for pharmacy students 2010. 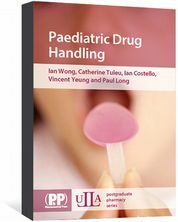 Available at: www.pharmacyregulation.org (accessed 3 January 2014). David T, Schafheutle E, Hall J, What “fitness to practise” means for schools and for students’ behaviour. The Salvadore 2009;282:623–4.